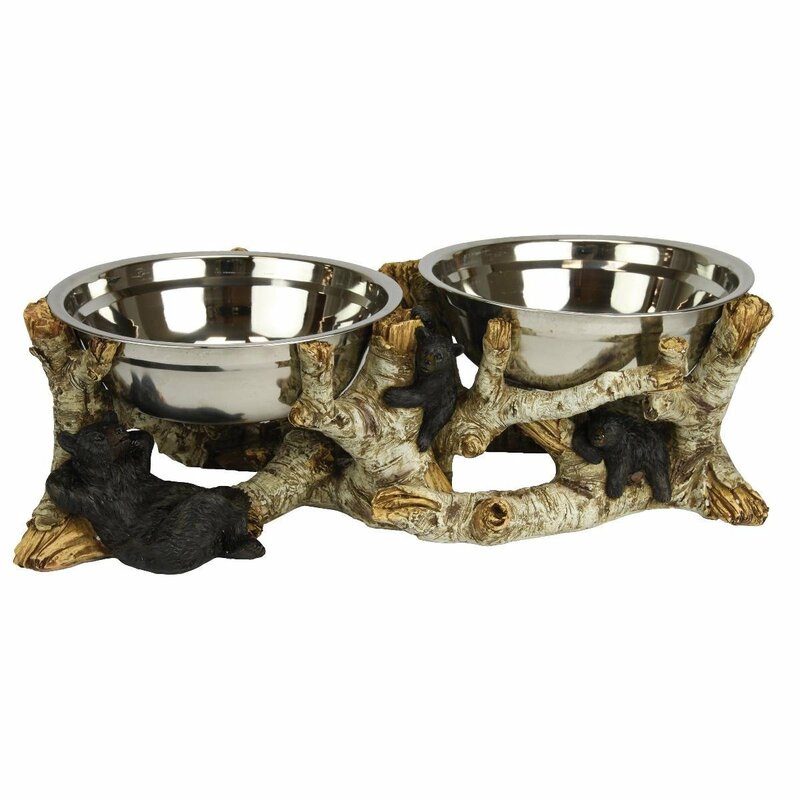 Your dog will love this unique dog bowl. From the Rivers Edge Collection, it is made of durable painted poly resin, and includes two stainless steel bowls. A great addition to any rustic home.